New bells may be procured from a number of foundries around the world. We have had bells cast for clients from The Netherlands, Italy and Britain. 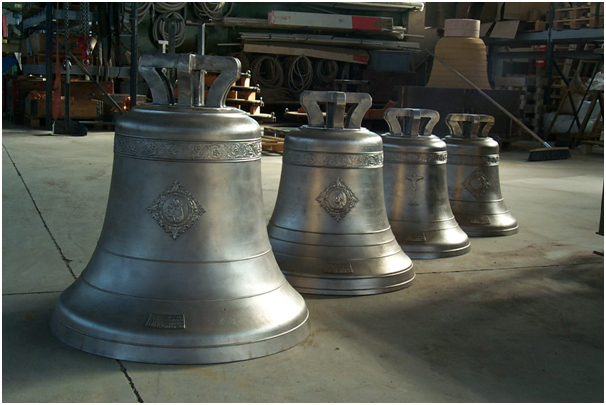 Often the choice of foundry for a new bell depends on any existing bells which are in place, so they can sound harmonic. Some of the foundries can now accept a 3-D scan of a bell and make an exact replica of a bell. New bells can be cast to include inscriptions which with the date, occasion, patron etc. These are popular for centenaries, inaugurations and memorials. Some of our clients have had single bells cast and others have a range of notes cast so they can be played via a keyboard.